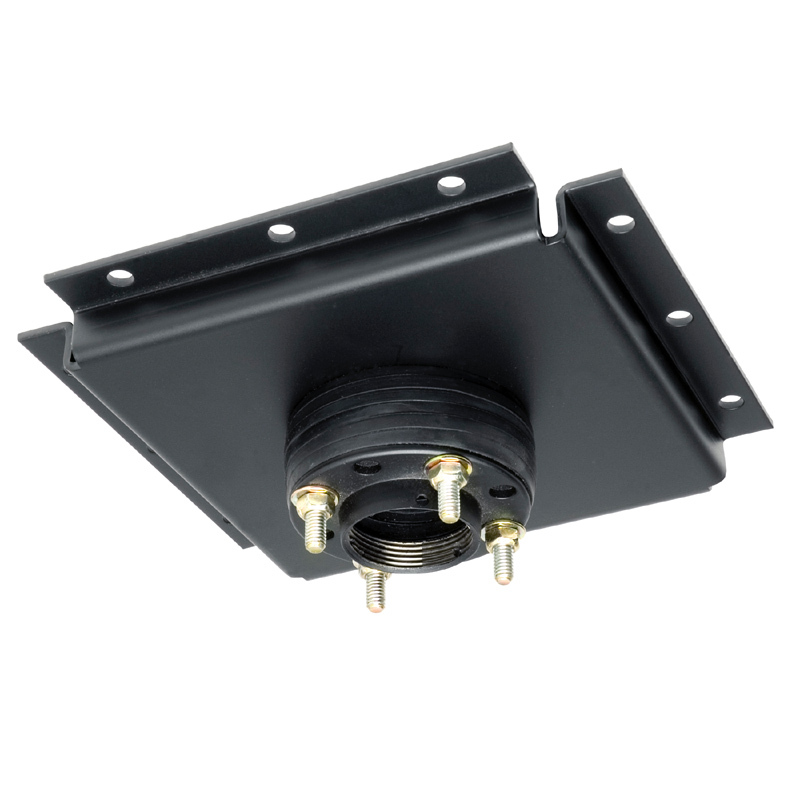 More on the Peerless Structural Ceiling Plate with Stress Decoupler DCS200 below. Call our Peerless AV experts at 800-807-1477. Integrated high-density rubber decoupler to absorb vibrations and prevent damage to mounted equipment. One heavy-gauge steel ceiling plate. 1.5" 11.5 NPT fitting for easy attachment of fixed or adjustable-length extension column. A 300 pound combined, balanced load capacity. Scratch-resistant, black, fused epoxy finish.